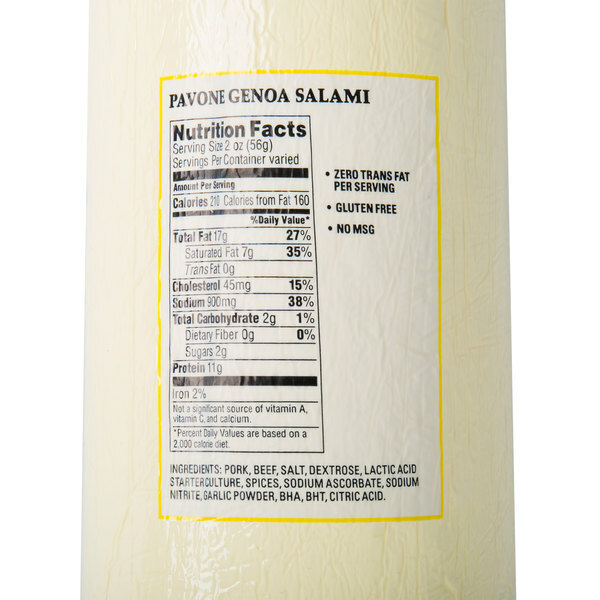 Indulge your meat-lovers with the genuine, traditional Italian taste of this Patrick Cudahy Pavone 6.75 lb. 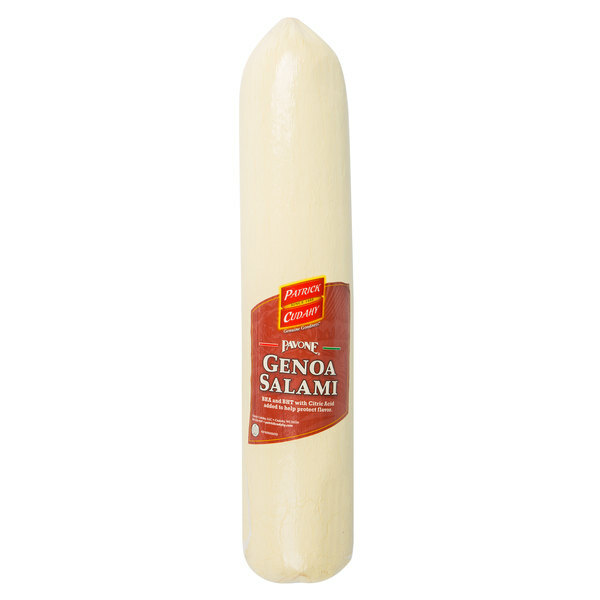 genoa salami stick. This genoa salami features a bold, distinctly rich and complex flavor that is highlighted with notes of pepper and garlic. Slice to create classic hearty Italian sandwiches, like salami with pesto, arugula, provolone cheese, and roasted red peppers on Italian bread. Perfect for a variety of hors d'oeuvres, slice and roll this genoa salami with provolone cheese to serve alongside olives and tomatoes on your deli tray, or whip up a classic Italian antipasto salad. You can even use this salami to create wholesome dinner options like salami carbonara topped with freshly-shaved parmesan. 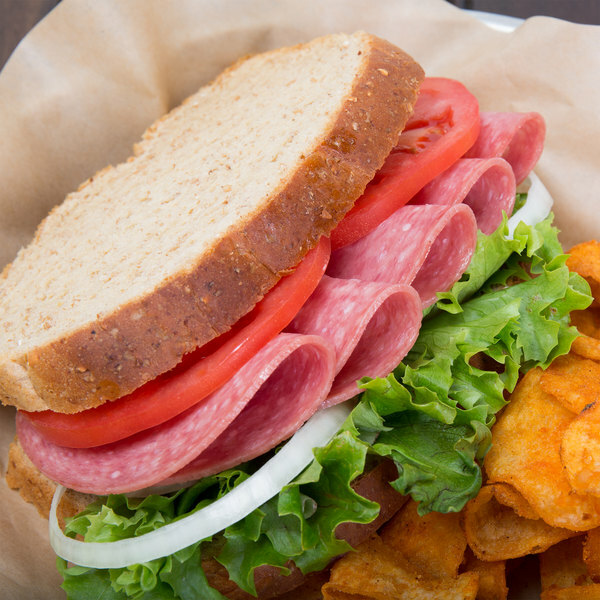 No matter how you decide to use it, this genoa salami provides endless ways to serve quality meat that your customers crave. 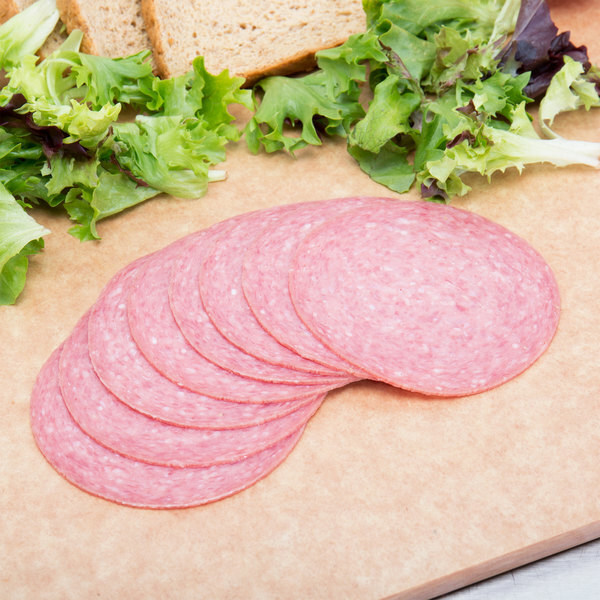 Using a century-old process, this genoa salami is made with only the finest cuts of pork and beef, and is then expertly seasoned to deliver a fresh, authentic Italian flavor. No fillers are added and it undergoes natural, unhurried aging to reach peak deliciousness with unmatched freshness. To preserve its rich flavor, BHA with citric acid is added, as well as it is treated with potassium sorbate solution to prevent mold growth to ensure you are serving the freshest product possible to your customers. Great for stocking at your restaurant or deli, Italian eatery, or bustling bistro, simply slice it thin or cut into cubes to create a variety of appetizing meals to offer on your menu.